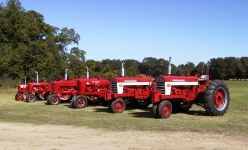 Welcome to the Old South Tractor web site! Returning visitors, check out the "What's New" page. 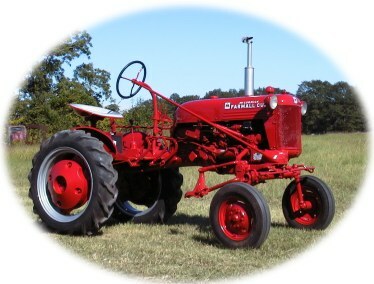 If antique Farmall tractors and other old power machinery get you going, you're at the right place! 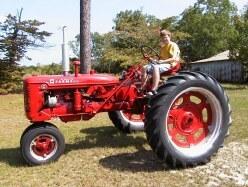 Speedy Davis and his extended family enjoy restoring, showing and pulling Farmalls and Cub Cadets. We hope you enjoy these pictures of our projects. We'll try to update this site frequently with news of pulls and shows in South and North Carolina and updates on our projects. Feel free to contact us! 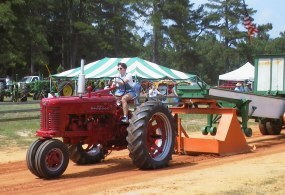 Here's Speedy's dad, Keith Davis, on his Super MTA Diesel. 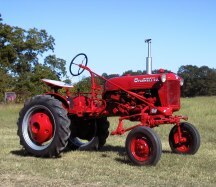 This was one of the first tractors we restored. Dueling 560's! 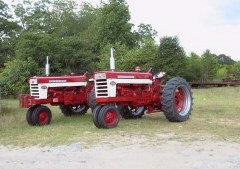 Speedy's is on the left; good friend Troy Kittrell restored the other. 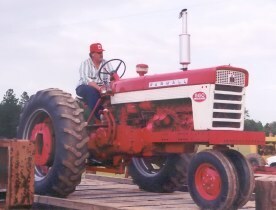 This 1955 model 300 was Speedy's gift to his wife, Laura, Mother's Day 2000. It was supposed to be ready the prior Christmas, no, make that Valentine's Day, uhm.... When she discovered it (almost finished!) in May, the surprise was lost, but the fun was just beginning. Here's a larger shot. 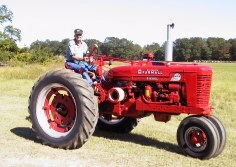 Carey Davis on Papa's Super MTA Diesel. It's been on this farm since it was new, in 1954. 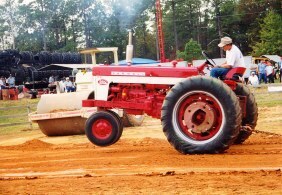 Troy on his 560, on the scales at the pull in Wagener, SC in Sept. 2000. All right, we've got action! Speedy on his 560 at Saluda, SC. The Richland Creek Antique Power Association puts on a great weekend event each fall, usually the 1st weekend in November. 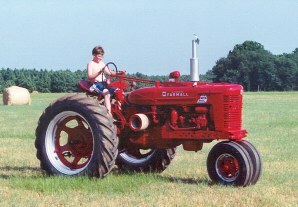 Laura's inaugural pull (summer 2000) with the 300. She survived the embarrassment of her hitch popping off (several times!) and came in 2nd in her class. This machine needs a little more tweaking. Carey, the camera hog, on Keith's "C". A recent addition, a 1952 Cub. A previous owner had cut a large hole in the hood for access to the wiring, but you'd never know it now. Her engine purrs! Speedy was a little too speedy with this one; we didn't get any "before" shots. Some of the collection, all in a row. You won't believe what these beautiful machines looked like before restoration! Click here to find out, and to see pix of current projects underway. 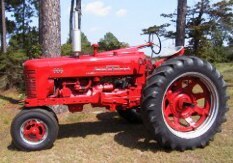 Copyright © 2000 - 2005 OldSouthTractor.com. All rights reserved.